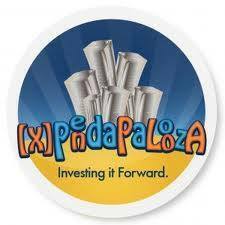 Another first: [X]PendaPalooza will run for 72 full hours. Players have from Friday, November 20th at 10 am EST through Monday, November 23 at 10 am EST, to connect with new players, reconnect with old friends, and build wealth. [X]PendaPalooza is EASY to play! Join the [X]PendaPalooza community here. You'll earn an achievement with eaves just for joining. aim to buy some shares in as many people as they can. buy pie upgrades at a BIG discount. Pie is available in the SHOP for eaves or cash. 52 and 53 are also on sale! Not a leader? Head to the shop and look for the Ultimate Leaders Upgrade. You'll instantly get all the pie up to 48, pick up 5 million eaves, earn bonuses on missions + daily dividends from other leaders, get 500 Even More Desserts AND MORE. watch for GIFT missions from (e)EKLEADERS, (e)SQRL, and our mod team. buy as many tickers as you can -- you might unlock some shiny achievements. send [X]tra [X]eaves to new players and friends. These work just like moon pies and are a new [X]PendaPalooza feature! 1. OK, what’s the catch? 2. When does it run? 3. When I can put my ticker in to the buying queues? 4. I’m new to this whole [X]Pendapalooza thing. How long has this been around? Ron Heigh (e)PWND and John Gushue (e)JOHNGUSHUE should be credited with the organization of the 1st [X]Pendapalooza along with collaboration from (e)ADRIEL, (e)EDUPRENEUR (e)REIGN,(e)BEN, (e)ALLIE,(e)CLATKO (e)FEEDTHEWORLDand(e)NORTHLANDFOX. The first one was held in May 2011 – and just for a few hours. We all had so much fun, we vowed to do it again. The full-day format soon followed. This is the 1st time time the event has been 72 hours! This is the 18th time this event has been done over a 4 year period. It is Empire.Kred’s 1st community, member driven event. 5. I don’t have much money to spend. How can I best stretch my eaves? Your buying strategy is up to you – you will no doubt see great advice in the discussion boards, from many different members – but you will also be helped by missions that will be targeted ONLY to members of this very group. This will provide a very large amount of eaves, so keep your eyes peeled. The idea, again, is for experienced players with large portfolios to share. 6. Do I have to stick around the full 72 hours? 7. Is there a Facebook group where people involved in this can hang out, share great tips and dynamic advice on social media? 8. Is there a suggested amount for spending? Nope. Totally up to you, as always, about how much you want to spend, and on whom. Don’t forget, though, that this event is created in the “pay it forward” spirit, and it will likely be hard to resist getting involved. Even a small amount will help build your connections. 9. I’m afraid that people will dump my stock right away. Is this reasonable? Selloffs are a hazard everywhere on Empire.Kred. We prefer to see this as a way of making contacts … and HOLDING them. Being a good investment should keep your shareholders around (did we mention the importance of shout-outs, and how they help your Empire.Kred score and dividends?) for the long run. 10. What can I expect to happen to my price and account? We’ll all have to see, but in every [X]Pendapalooza so far, most players have seen substantial gains in share price, number of shares sold and net wealth. This is especially so with new players. The increase in your portfolio will depend on how much you spend!